Only at that moment you finished killing price is fun! With a lot of the time no one was likely to be happy. Cheap stuff, it does not necessarily lower the total cost, but in other areas to save money to go back and make up for nothing. The moment money is distressed! When used every day happy, I feel particularly worthy. Used for many years, not how mechanical repair, it is that there is little wrong, aftermarket manufacturers do very well. We charge the customer always felt that expensive, lower prices doom, and I count the cost, I will be to ask him: "Well do you design costs labor costs marketing costs forget it forget it the company's normal operating costs forget it???? management costs forget it? logistics costs forget it? warehousing costs forget it? ...... "
4 if give you a bunch of steel, can you turn it into a mechanical right? Steel to you, you can do yourself to make machinery? Give you a needle, acupuncture do you give yourself? Give you a basketball, you can play NBA do? To give you a bunch of material, you can turn it into your own floor. Premise services is profit, each company must survive, profits can be appropriately reduced but not disappear, you guarantee the survival of all the profits away, mechanical quality, after-sales service who safeguard against. It was expensive, yes, because good, so expensive! The quality of your products, people in your taste! Quality of the product that you choose! There is no able to spend the least money to buy the best product to do. Someone asked: "Your machine can be cheaper." I can only say: "I can not give you the lowest price, I can only give you the highest quality, I would rather explain the price while not willing to apologize for the quality of life." 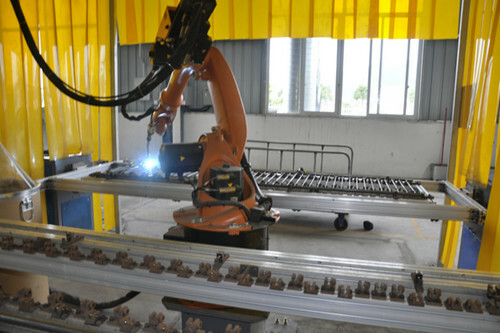 When the choose and buy the hydraulic cutting machine, so it is the truth.